The Wave Sliding Club. The club of the waves. 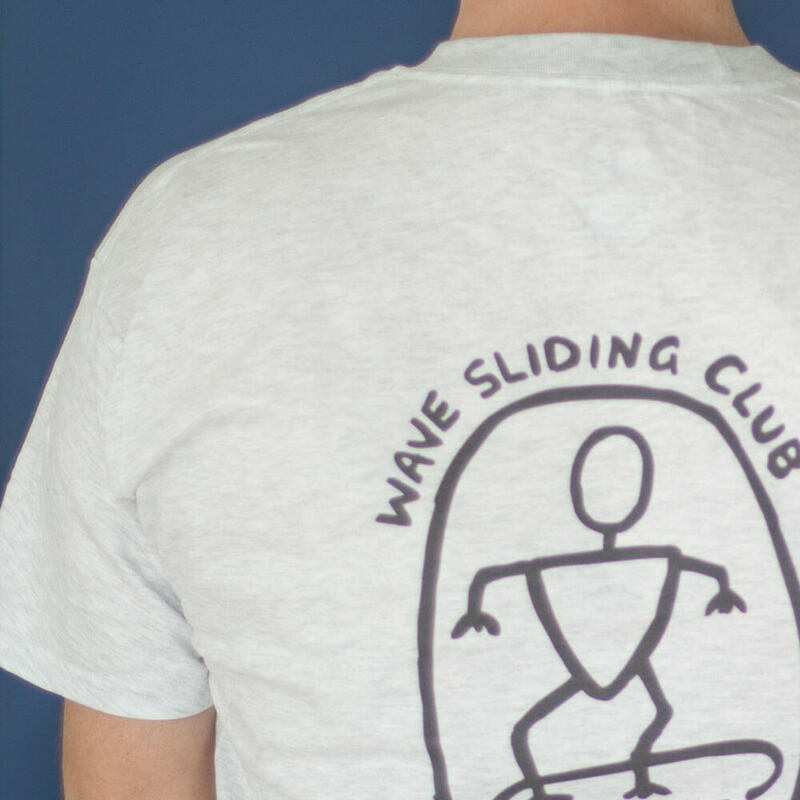 The first known occurrences of surfing are connected to the ancient Hawaiian tradition of "he'e nalu", meaning "wave-sliding". 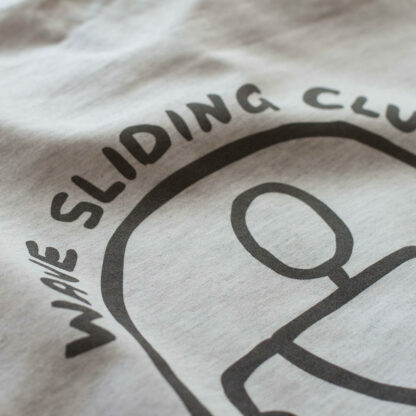 Wave Sliding Club Original T-Shirt – Hui Ohe’e Nalu – Heather Grey T-shirt. Rick and Kiani come across Da Hui’s club shack. 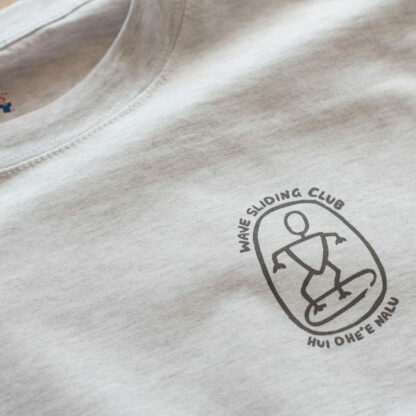 This shirt features the Hui Ohe’e Nalu (Wave Sliding Club) logo on the front and back of a heather grey tshirt as shown in North Shore the Movie. 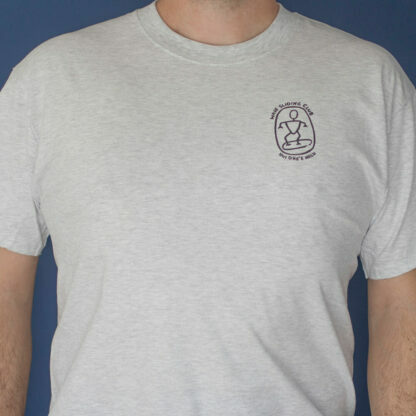 We use heavyweight Hanes Beefy t-shirts as we think these shirts are the best quality money can buy. – The Beefy-T is made from Ultra-soft premium cotton that feels great against your skin. 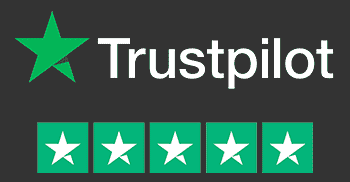 – Non-chafe fabric taping reinforces neck and shoulders. – The ‘Lay Flat’ collar keeps its shape wash after wash.
– Durable double stitching trims sleeves and bottom hem. – Full cut provides roomier fit (Preshrunk to stay true to size). 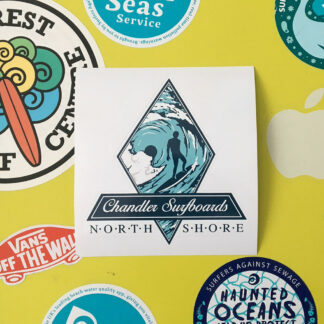 The logo is printed directly onto the shirt using a high-quality garment printer at a local company, this gives a smooth and long-lasting finish and not a sticky stiff logo like transfers feel. Available in Medium, Large, XL sizes. Get stoked riding mother-nature's playground? Then stick around, this place is going be great. Like us on Facebook Barney, barno, barnyard, kook, in and out of the water!